The Canadian Museum of Civilization has opened its vaults! Your class has been asked to choose the artifacts you think should be part of a Treasures of Canada exhibition that will be travelling to high schools around the world. This exhibition will be divided into three zones: Canada's Past: A Country of Many Cultures; Canada Today: A Land of Opportunity; and Canada of the Future. The Museum wants you to choose the artifacts that will appear in Zone 1: Canada's Past: A Country of Many Cultures. They want you to choose the artifacts that will fit this theme and be interesting to other high school students. You will work in a team with two other curators to select the museum artifacts you feel best relate to the theme of Canada's Past: A Country of Many Cultures. The Museum is giving you access to artifacts in three major collections: aboriginal history; French-Canadian history; and immigrant history. 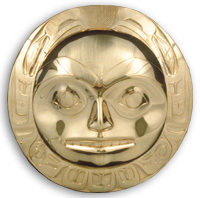 You will search these collections, select the artifacts that you think best represent the multicultural diversity of Canada, and decide how you will display the artifacts. Afterwards, you will present your artifacts to your class, and explain why they should be part of this exhibition. Form a team of 3 curators. As a team, visit the three Museum web sites to view the available artifacts and to learn more about the possible curator roles. Decide on the area of expertise for each curator. Now you can take on the role of a curator for this project. Go back to the Roles section for ideas of curatorial specialties. Once you have decided on your specialty, familiarize yourself with your collection. Use the three Museum web sites to view the available artifacts and to find related information. Try to search for objects. If you need help searching, see Search Help. Discuss and refine the theme for the exhibition. Your exhibition's working title is Canada's Past: A Country of Many Cultures. What does this mean? Think of the cultures that have made up Canada, from the first peoples, to the French and English settlers, to immigrants from other countries. Decide what the exhibition should focus on. Canada is a country that has been built by creative individuals from many cultures. From the time of the First Peoples, innovative people have made use of Canada's rich resources to build their lives. Decide on criteria for selecting artifacts. Much as you might like, you can't include all the artifacts in the exhibition. You will need to narrow down your selection. As a group, create criteria. On your own, select your top 10 artifacts. Now you can return to your collection and find the artifacts you feel best represent your theme. Use the criteria your team has created. Be sure to search your categories thoroughly. Take note of your most appropriate artifacts, and then narrow your list down to 10 artifacts. As a group, narrow down the team's selection, if possible. Present your artifacts to the rest of your team, and explain why you think each belongs in the exhibit. Listen to your colleagues as they present their artifacts. Ensure each artifact meets the criteria you have set. Can you narrow down the selection? Or do you want to keep all 40 artifacts? Decide how to display the artifacts. How might you group the artifacts? How might you display them? Find out about some display possibilities in the Display Methods section. Think of a title and write an introductory text. As a group, come up with a catchy title for this exhibition. Write a text to introduce the exhibition. This text should be no longer than 100 words. In a real exhibition, there would be a label for each artifact and possibly other text. See Write A Label if you are interested in learning about writing exhibition text. Decide on a format. Some options are a PowerPoint presentation, two-dimensional mock-ups, and three-dimensional mock-ups. Include your title and introductory text in this presentation. Have the research notes from all of the artifacts you looked at on hand to show others the range of artifacts you considered. Present your artifacts to your class. Present your artifacts, and then listen to the presentations of your classmates. You could also hold a display fair where you can visit each group's display. Use the Rubric to evaluate your work. In this Webquest, you had the chance to learn about museum collections and the people they tell us about, as well as the role of the curator. You also had the chance to experience the work of some of the other members of museum exhibition development teams such as designers, interpretive planners (people who help shape the content) and writers. Museums are treasure troves of valuable artifacts that can tell us a lot about the people who came before us. We hope this Webquest helped you understand how museums – through their collections and creative, knowledgeable people - can make the past come to life. A Curator is a subject area specialist. Among other duties, curators do research related to their subject area, acquire and study artifacts, write research papers and books, and participate in exhibition development as the content expert. At the Canadian Museum of Civilization, there are Curators for many areas such as Plains Archeology, Western Canadian History, Ethnology, and Canadian Crafts, Decorative Arts and Design. For this project, you need to define your curators. You could have a Curator of Aboriginal Culture, Curator of French-Canadian History, or Curator of Immigration History. You could also have a Curator of: Archeology, Costumes, Trades and Technology, Decorative Arts, Music, or Furniture. Or you could think of another title. For all 3 sites: Select the Objects tab, and view the available categories of objects. Select a category from the side menu, and then at the bottom of the page, select "View all items in the collection". A list of objects is displayed. Select the link for an object to display a detailed version. Search option for Gateway to Aboriginal Heritage only: Select the Objects tab to view a map of Canada. Click on a region of Canada to view a feature on culture areas, and then at the bottom of the page, select "View all items in the collection". Here are some of the common display methods used in museums. Description: a glassed-in case, often with shelves, either free-standing on the floor or against a wall. What would you display in a display case? Display cases are usually used to display small or medium-sized artifacts that require maximum protection. Larger artifacts are also displayed inside cases if they are very delicate and require the maximum protection from visitors and the environment. Description: a raised floor, often on small pedestals, beyond the reach of visitors. What would you display on a platform? You would choose this technique for single artifacts or groups of artifacts that do not require protection from the environment. Description: objects hang or are fastened to a wall. What would you display on a wall? Framed images, such as paintings and photographs, or flat objects, such as tools, are often displayed on walls. Description: a recreated environment that combines reproduction objects with real artifacts displayed as part of the environment; for example, a kitchen from a 1930s Saskatchewan house with artifacts from that period displayed on floor and on the counter. What would you display in a diorama? You would choose this for objects like furniture and household objects. What would you display on a mannequin? You would choose this for displaying clothing. A mannequin can appear in a display case, on a platform or in a diorama. Many of these techniques can be combined. For example, a display case can appear inside a diorama, and a mannequin can appear on a platform. To view PDF pages you need Adobe Acrobat Reader on your system.